There are stories of a far off land where it is never jam tomorrow but always jam today, a magical place where earl grey, darjeeling and english breakfast are treated with utmost respect. 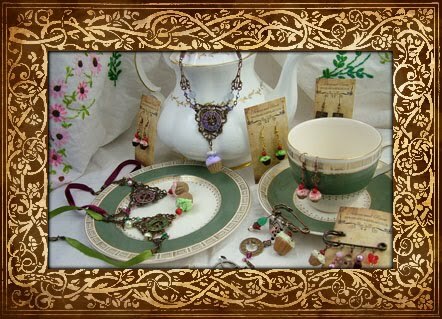 Oh for the glorious chink of china cups and saucers, perhaps a slice of cake or some scones. 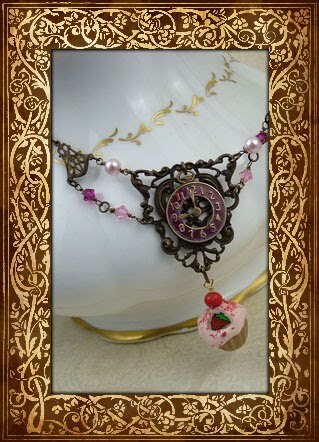 To celebrate tea time in all it's lovely forms, a selection of wearable object d'art including Miss Maisies patissieriemonitor necklace, (which will ensure you are never late for your brew), and matching earbobs are available here.